Cabin crew Morocco: What subjects should I study and where to get training to be cabin crew or steward? We often receive emails from students asking for the topics they would best take for their GCSE (General Certificate of Secondary Education) or A level. It is intimidating and stressful to make decisions that you think have an impact on the rest of your life when it seems to you that you do not have the right answers. So, if you think you like to make a career as a cabin crew in Morocco or elsewhere, what should you do? Studies could become difficult if you make a wrong choice by choosing a training school with a shallow level or a negative reputation, so the most important thing is to pick one that has a respectable history, strong reputation as well as the status of an accredited training school of cabin crew. The eligibility options vary depending on where you are studying, so you have the choice of choosing a topic that covers the theoretical side of travel and tourism. Do not worry too much if you do not have this option; The experience of real life is just as good, if not more valuable. It will be handy to obtain training entirely in English, also modules relating to sales on board and service. What topics do I need to study to be a cabin crew? You must have a positive motivation, which will lead you to succeed your training. You must choose a cabin crew training school that has an innovative training entirely focused on the career of a flight attendant or steward, their duties on board an aircraft, on their lifestyles, as this knowledge will facilitate your integration into the world of aviation. Keep your options open by learning a wide range of modules and topics during your cabin crew training. If all of your training modules are quite similar, it may limit you further in the future. The cabin crew training Institute in Morocco Infohas is well known for having a variety of one hundred percent training modules in the English language. Having a particular command of languages ​​will always be beneficial to any career in the aviation industry. Choosing a qualification in one or more will give you an excellent basis for using different styles ​​in practical contexts. Besides, your training should also be focused and based on the English language which is the main in aviation careers. Also, you have to undergo cross-training on customer service side by side with the technical training modules. 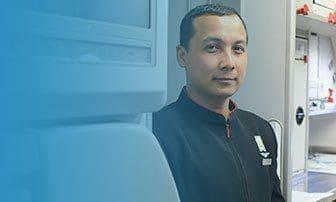 These modules would help you learn more efficiently the main tasks related to on-board services and other functions of an air attendant and a steward. The airlines are particularly interested in experienced candidates focused on customer service. So regardless of the choice of topics you are doing, it would probably be helpful to find an internship where you will be able to develop your experience of dealing with a client in the real world. INFOHAS Training Institute helps all their trainees find a conventional internship. Most people have no idea what they would like to do when it is time to choose the location of their training, and if things will tend to work. Do not worry if you have made a wrong decision by selecting the wrong place to do your training and chart your future. Nothing is irreversible because our doors are always open for the whole world at the Institute.